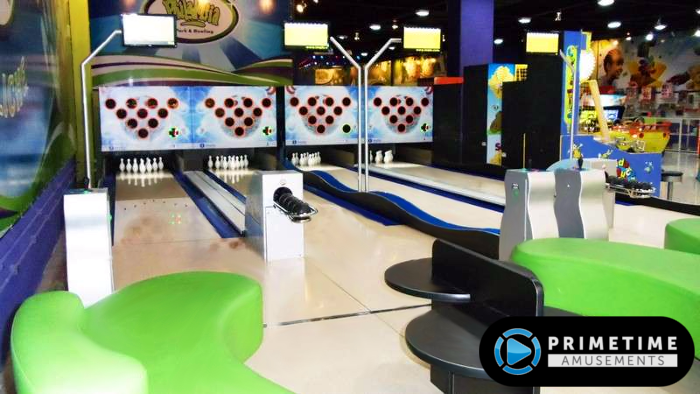 Do you want to install a bowling alley in your home or business but just don’t have the physical space needed for a professional lane? Then Mini Bowling is here to the rescue! Capture pin-striking excitement without breaking the bank or taking up too much space. 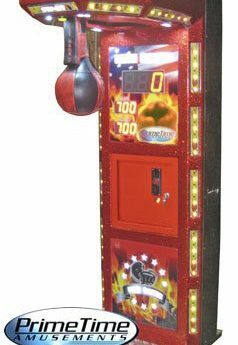 Designed by the bowling experts at Imply, Mini Bowling is the perfect solution for getting big profits in smaller locations such as Arcades, FEC’s, Malls, Theaters and other Location-Based Entertainment (LBE) venues. It is a fantastic option for homes that are looking to install unique entertainment. These lanes are available in 37′ & 45′ designs and we can assist you in customizing the lanes for your situation. Mini Bowling uses bowling balls that do not have finger holes inside them – they can fit into the palm of an adult hand, a little larger than the typical alley bowler ball. 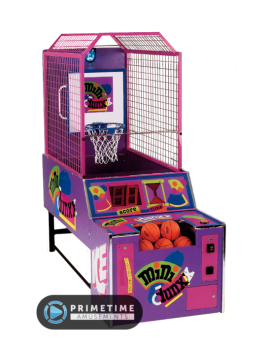 A 32″ LCD screen shows animations as well as player scoring information, tracking up to six (6) different players at a time. As shown by the banner above, you can also order it in a variety of themes or we can look at a completely custom artwork job. The purchase of any Mini Bowling lane will include all related installation work by trained technicians. We will provide this as a part of the quotation that is sent to you. Also note that bowling lanes are built to order so please ask your salesperson about current lead times and shipping rates. The Mini Bowling is produced in 36′ or 45′ lane sizes; 44′ or 54′ long if you include the optional Players Area. The bowling balls & pins are smaller than normal, adapted for the smaller lane size (5.1″ in diameter for balls / 9.1″ in height for pins). How many lanes you wish to install only depends on your available space and/or budget. The lane lengths are measured from the back of the pinsetters to the start of the player area. Can be installed in 2, 3 or 4 lane modules. Spruce up your Mini Bowling lanes with one of the six available themes: Classic, Space, Hipster, Pop, Retro & Pub. We can also commission a customized theme for you, for an additional cost. Enhance your experience with black lights & glow in the dark effects! Mini-Bowling lanes and pins are manufactured with special inks and neon pigments that glow under black lights (if available in your venue). Plus, LED lighting can be included along lanes and color changing RGB effects above the pin setters. Keep track of everyone’s score per each frame thanks to the overhead 32″ display. The system tracks up to six users at once and control is simple using the trackball & button interface that is built into the same console as the payment acceptance box. In between each roll, animations play to entertain on-lookers. At the end of a match, you can record your score onto the Top 10 Leaderboard. Change settings with ease. 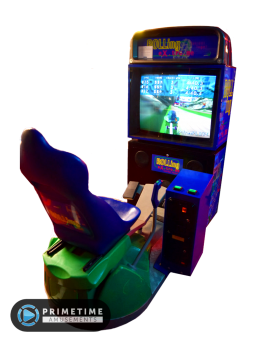 Set it up to have 10 frames, and two shots per frame, like official bowling; Or ‘FAST’ mode with only one shot per frame for a faster game. The software includes an exclusive timer (regressive time counter) to avoid slow play. The lanes can be setup for various styles of payments. 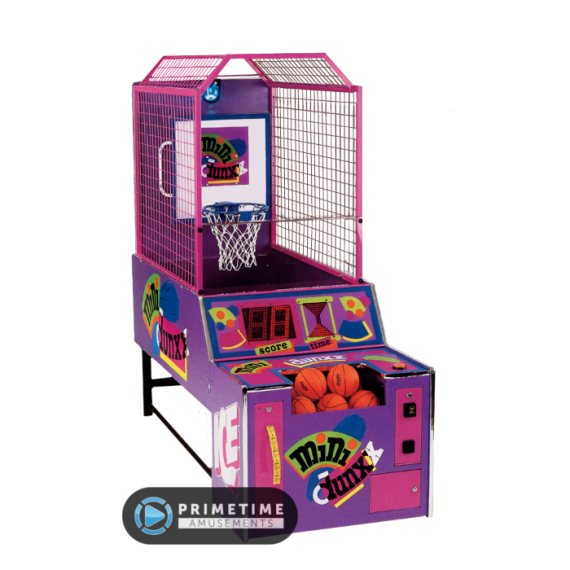 Free play for home situations or accept coins, tokens, dollar bills, card swipe or via a front desk for commercial use lanes. The following examples show a typical layout for the Mini Bowling, in different configurations. Give us a call and we can assist in tailoring your purchase to your situation, using our professional architect in designing a layout. NOTE: Regarding the word “module” below – this means sections of the lane that the installers fix together as one lane. 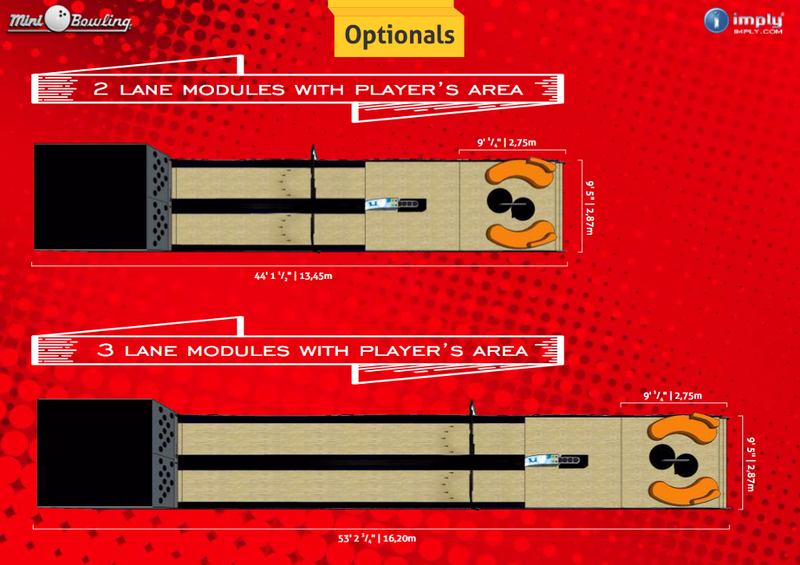 So “2 lane modules” means the Pinsetter plus 2 lane pieces that make up the Player’s Approach for a single lane while “3 lane modules” means there is an extra section of lane to make it longer. 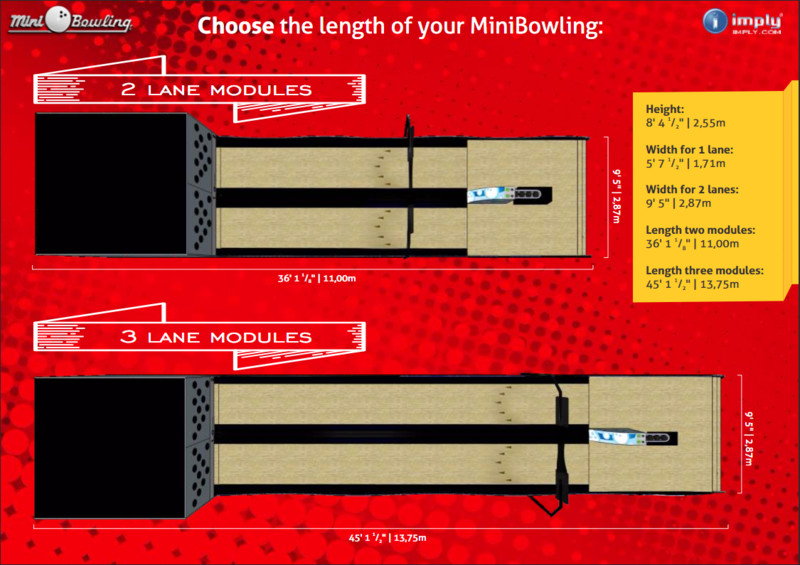 If you have any questions about the dimensions for a Mini Bowling setup, just give us a call! 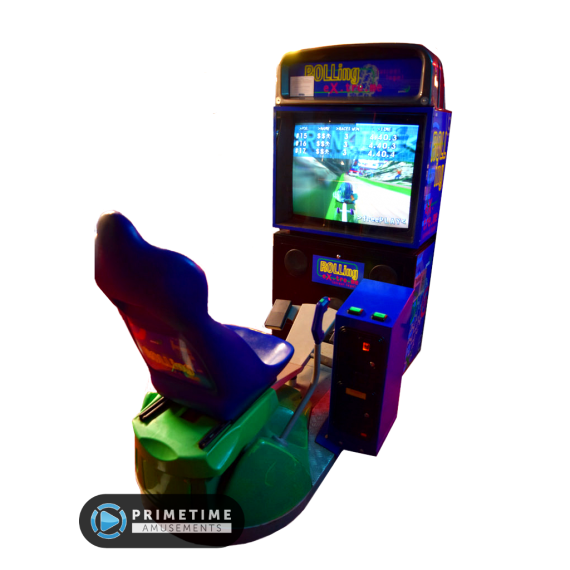 At PrimeTime Amusements, we have direct experience with the development, installation and operation of a Mini Bowling setup. Don’t bother with those other guys who only have read product brochures or maybe played it once somewhere – go with PrimeTime experience! Installed Dimensions: H: 73″, W: 47″, D: 86″ Weight: 353lbs.